The Flower Studio is located in the beautiful market town of Marlow. We have a dedicated and creative design team who strive to inspire the imagination with their fresh and unique approach. Our services range from wedding and event design to interiors, sympathy and corporate clients. Bespoke hand-tie bouquets can be sent using our same day delivery service or just pop along to our shop for a great selection of cut-flower, vases and plants. The Flower Studio is part of interflora and can offer international as well as national delivery on a vast range of products including hand-made chocolates, balloons and champagne. 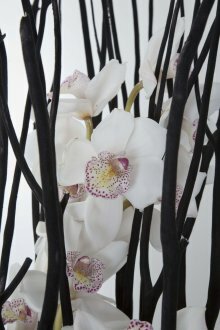 The Flower Studio provides imaginative designs selecting the finest product with a friendly, personal service. Bryn, Siobhan Amy and Lucy would love to inspire you. Give us a go today!